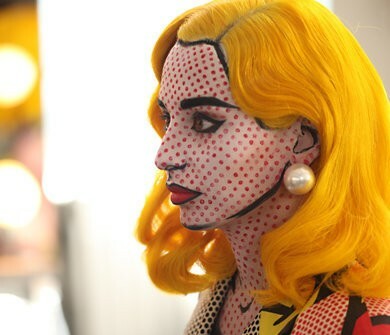 Roy Lichtenstein is my favorite Pop Art artist. 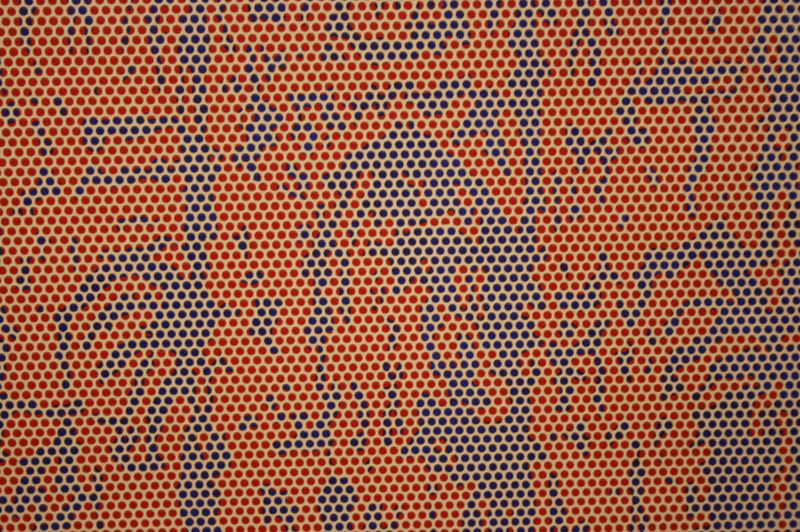 And when I had the fortune to see my first Lichtenstein painting at MoMA San Francisco with friends Les and Davey early this year, I kid you not — my heart began beating hard against my chest, blood left my face, and I became light-headed. Why? I guess it’s because I love what Lichtenstein’s works stood for. See, Pop Art became a movement as an answer to the Abstract art movements that came before it. Many artists felt that abstract art was becoming too alienating; it became too profound and pretentious for the masses to appreciate. That’s why artists like Lichtenstein began making his comic book-like paintings — he wanted to elevate the lowly comic strip into something one would see hung in museums. And hung in museums these were! 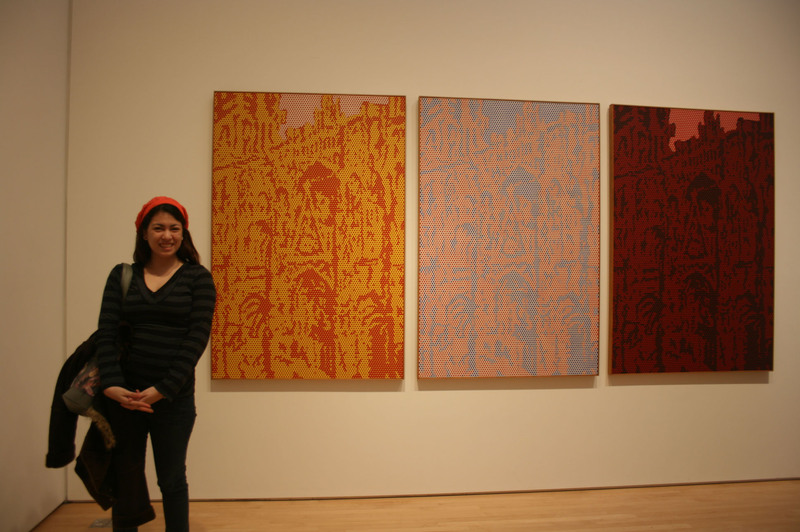 I came face to face with a triptych of his works that fateful day in January at SFMoMa. 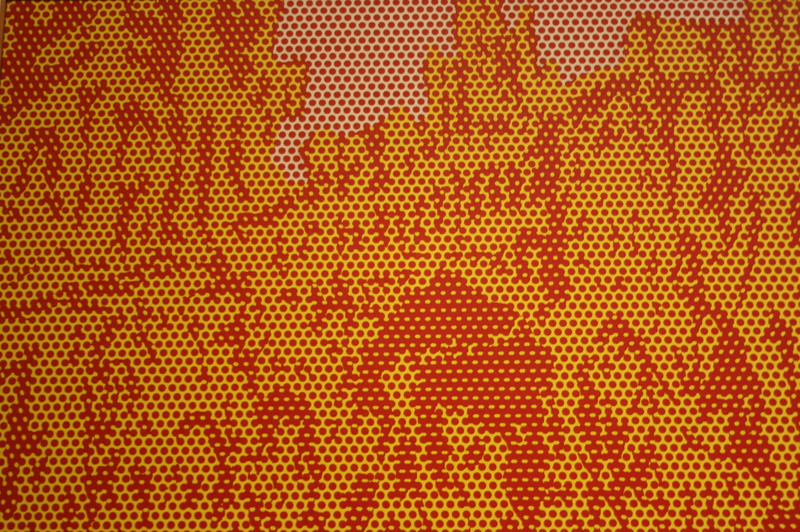 Lichtenstein is challenging the boundaries of what constitutes as “Art” in his works. Would a painting made to look like a how a comic strip is printed be considered art? 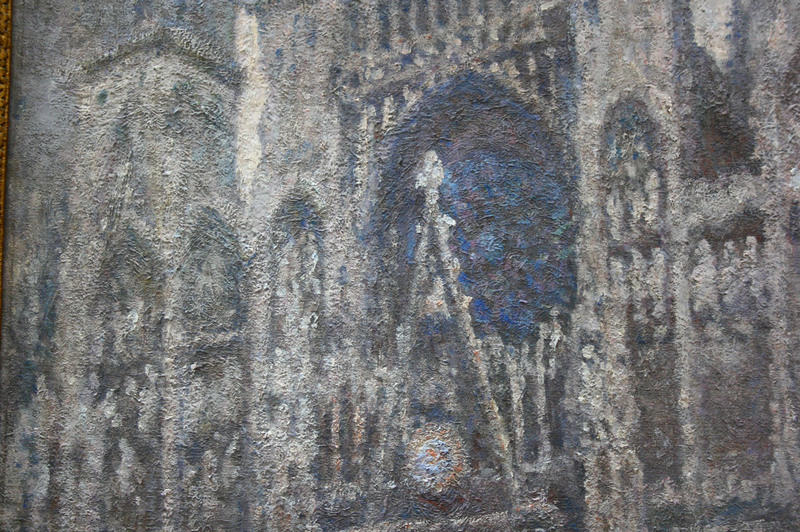 This work of his in particular takes after Claude Monet’s own study of the Rouen Cathedral, which I got to see at the Musée d’Orsay in 2009. 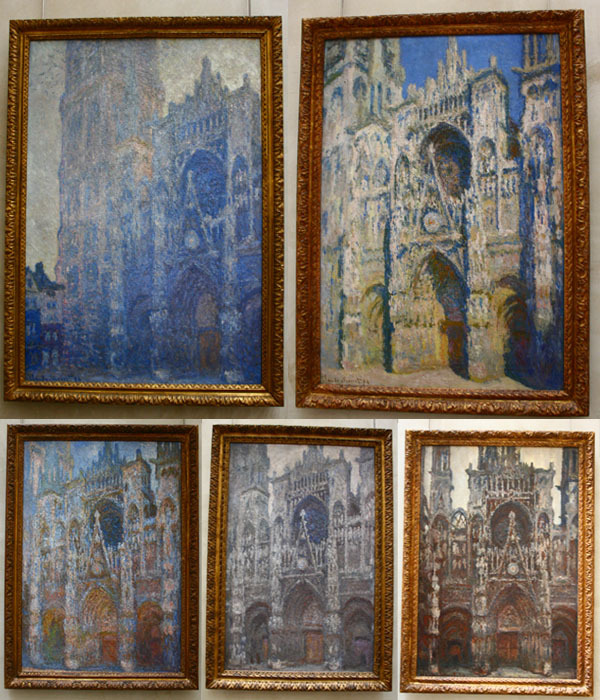 Monet made several studies of the Cathedral, painted during different times of the day, to capture how light changes the color scheme of one specific subject. 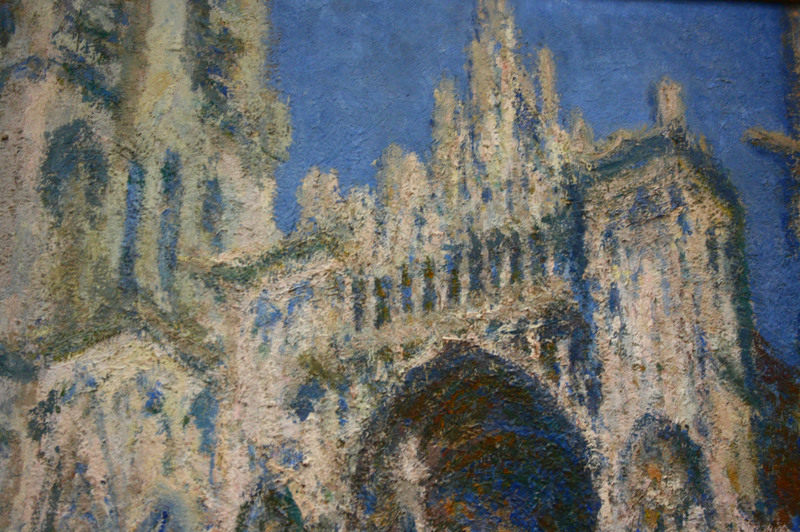 …but both utilize color combinations that mix and blur when seen from afar, creating a harmonious piece of art that’s beautiful to look at and explore up close. This entry was posted in Piece of History, Spotlight, Tour de mouse and tagged Benday dots, Impressionism, Lichtenstein, MoMA, Monet, Musee d'Orsay, Paris, piece-of-history, Pop Art, san francisco, spotlight, tour-de-mouse by Y2 mouse. Bookmark the permalink.